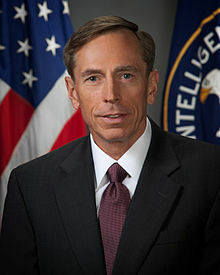 Retired Gen. David Petraeus may have retired, but that doesn’t mean he’ll maintain his rank. The Daily Beast reports that the federal government is considering retroactively demoting him for revealing classified information to his biographer-turned-mistress. Secretary of Defense Ash Carter is considering whether to overrule the Army’s earlier recommendation to not demote Petraeus. “The secretary is considering going in a different direction” from the Army, a defense official told The Daily Beast, requesting anonymity. The idea is to send a message that the general government won’t tolerate the release of classified information. Posted: 1/19/16 at 9:57 AM under News Story.